If you think back to the last major purchase that you made, you likely checked multiple sources before coming to a final decision to actually make the purchase. But, there was a time that consumers would simply ask a friend, or buy whatever worked for them the last time. Business for retailers used to happen in a brick and mortar store. But, business for the consumer always began much earlier. Maybe a man saw a TV commercial about the latest television. He thought about his old television and wondered if he needed a new one. Maybe he asked a friend what he thought of his television. He looked at televisions in windows and compared general prices. After a while, he decided on a brand, and checked the newspaper to see what models were available. Then, he focused in on a single model and visited several shops to see how they compared in terms of price, warranty and after-sales support. The world we live in today is not much different, except that most of these steps are now performed online. Instead of a world where business is happening in multiple physical locations, it is happening online across multiple devices. More and more businesses are adopting an omni-channel application architecture to provide a consistent experience across all possible devices. The sales process today might start on a tablet at the kitchen table when the customer clicks on an ad in Facebook that takes them to the mobile version of your website. Later in the day, they want to check out your web page to get familiar with your brand see an overview of your product line. 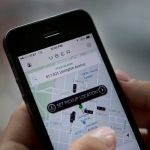 Later in the day, they might download your app on their phone and compare the models, or read the reviews for previous buyers while they wait for an elevator. The process continues as the customer bounces between these devices. Eventually, if they feel comfortable, the process leads to sales. The idea of tracking a single device to represent a single customer through the sales pipeline has become outdated. 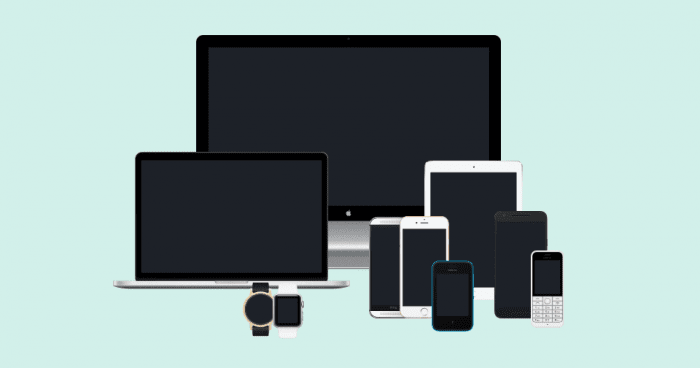 Each customer likely has several devices, such as desktop computers, laptops, tablets, and smartphones. Despite this new reality, most online retailers have failed to take full advantage of all that omni-channel applications can provide. Customers are looking for products every day and tend toward frictionless and engaging experiences that span all their devices. 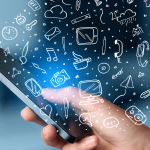 Mobile apps are becoming the core of an omnichannel marketing strategy. Once a user downloads an app, they spend an average of about 202 minutes per month on the app, compared to only 11 minutes per month on the mobile site version. The most shocking part of this statistic is that it is not simply a matter of the user reallocating their time from a website on a tablet, to an app on their phone. They are actually spending more time online in general to connect to the phone app online. To maximize the omni-channel user experience in mobile app development, it is important first and foremost to maintain consistent branding. Everything from the store to the website, to the app must build a perception of your brand and provide the same experience to the customer every time. This is especially true if you have a brick-and-mortar store that you are driving your customers too. By the time they set foot in your store, they should already feel comfortable with your brand, icons and imagery. For example, when a user installs the official shopping app, they are able to scan bar codes in the store with their phone to get more information on any item. Customers can then be sent notices based on the items they scanned while they were in the store, so they are immediately aware of sales on those items, popular accessories that go with them, new collections that they would be interested in, or other specials offers. Not only does this increase conversions by providing genuine value to the customer, it builds loyalty and provides invaluable data to inform future marketing campaigns. If your focus is online sales, maintaining a consistent experience in the customer’s shopping cart between not only the desktop and mobile versions, but also the app shopping cart, is key. Most customers are already used to an omnichannel experience, so anything less can seem out of place and spook otherwise willing buyers. Many people now use mobile apps as regular parts of their daily routines, especially if the apps are tailored to fit their specific needs. While it might be tempting to simply push out ads, marketers need to prioritize the app toward the utility for the customer when deciding on content. If your app makes the customer’s life easier by providing a highly personalized and engaging experience, with the right message, at the right time, they will come back to it again and again. Research from Google shows that people are happy to return to an app frequently if it simplifies their lives. A prime example is that Walgreens’ mobile app is designed to only send information on sales while the consumer is already in the store. Rather than being a nuisance, this feature assists the customer in saving money while they are buying something that they already want. By tying this data in with a Walgreens’ loyalty card, they can also know exactly how effective each suggestion is. This allows them to hone the messages to target the specific products the customer tends to buy, or offer factory coupons from competing brands, drastically improving customer engagement. Another advantage of omni-channel in mobile app development is the ability to track everything. The data that is available to marketers through mobiles apps provides the best ways to guide consumers through the sales funnel without invading their privacy. The ability of apps to monitor the success of campaigns through the actions of individuals over time is far more accurate than measuring traditional campaigns. This can allow you to tailor messages and offers directly to them through the most appropriate channel. This can be done both directly through ads on other channels, or in a way that creates a sense of serendipity and discovery in the customer. Tracking events in your apps, from installs to key interactions, provides critical details that allow you to segment potential or existing customers, and trigger campaigns across multiple channels. An installation of a mobile app could trigger a targeted SMS message or a specific social media ad. Once completed, the customer behavior can be tracked to evaluate the effectiveness of the ad and further improve the customer experience, along with ROI on future campaigns. Mobile apps can also integrate information from other data sources to make informed decisions. By asking customers for their email address during in-store purchases, it is possible to link these customers to their app activity or browsing history. By correlating this data, marketing teams can develop more effective campaigns. Imagine you own a coffee shop and you are able to correlate a users credit card number to his phone by checking the email given on an in-store purchases on an installed app. You track purchases at your shops through a loyalty program and notice that one customer buys a coffee each morning at 9:00am. The next morning at 8:45am you send him an SMS coupon on his phone for a free croissant. He sees the offer, scans the coupon code displayed on your app directly from his phone and gets his free treat. 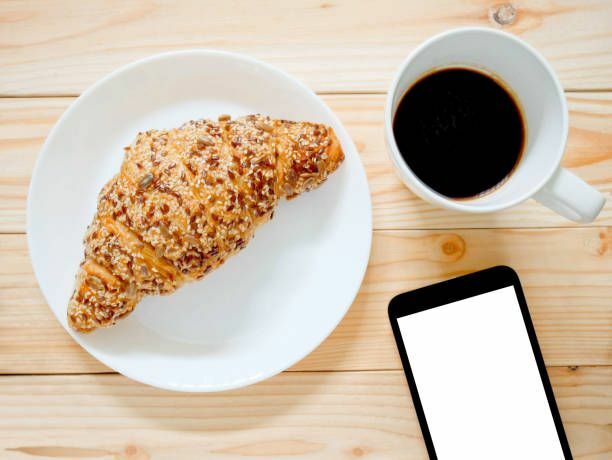 The customer is excited that he received genuine value for installing the app – a free croissant. After he enjoys his coffee and croissant that day, he realizes that he likes them together. The next day he changes his morning routine has a croissant and coffee again. He may get one every day, every week, or maybe just once in a while, but that is still better than not buying one at all. Not only that, he tells his co-workers that if they install the app, they can receive offers for free treats as well. This is how marketers are able to leverage omnichannel marketing, not only to understand their customers, but to guide the customer through a journey. This switch from observer to facilitator provides an integrated shopping experience for the customer, allowing them to enjoy all that your brand has to offer, including promotions on products or services they are already looking for. While it may seem difficult to keep consumers engaged across every channel, the only option is to lose them to competitors who are able to manage engagement better than you. Consumers around the globe are responding to marketing campaigns by adjusting their shopping behaviors. Many brands are not able to keep up and are falling behind. It has become essential to adjust marketing strategies regularly to constantly understand how consumer expectations are shifting and how to act on these moving differentiators. 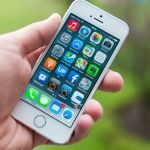 Like trying to follow any trend, mobile applications are constantly being optimized for these moving targets to provide tailored, welcome content and offers to their customers. Mobile applications are the key to interaction between your brand and the customer. Traditionally television, radio, print and even websites display information to customers, and customers mostly communicated their response by buying the product or not buying it. This could be described as “display and pray” marketing, where you really are not able to know exactly how effective your campaigns are. Mobile apps bridge the gap between these mediums, providing a single place to present information to your customer and accurately monitor their responses in real time – creating a conversation between them and your brand. Using an omni-channel approach in applications requires far more than familiarity with programming technologies. It requires a development team with strong business analysis specialists who understand the role that your app will play in the integrated strategy of your marketing team. Omnichannel development specialists are comfortable speaking with your marketing team in the same language, adapting to their priorities, and performing comprehensive UX testing to achieve your primary business goals. This also entails planning together which content will be pushed to each user and how it will happen. This requires special knowledge and can vary based on which device they are using, where they are located, and what permissions they have set. A comprehensive omni-platform strategy can combine and orchestrate data from every source, including web services, legacy systems, and websites. By doing so, you can provide application experiences that are always fresh for the users, and that can take advantage of the opportunities presented by wearables and the Internet of Things. By using an experienced developer, such as Mobindustries, you will be able to create an omni-channel mobile app that seamlessly integrates into your existing marketing strategy and establishes a consistent branding message. We have experience developing the tools to understand what your customers need, and when they need it, so you can take control of the purchase process and guide them to the solutions they are already looking for.